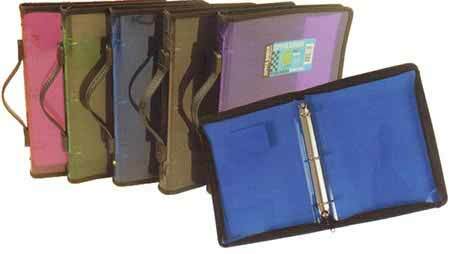 A4 Zipper Binder 3 Ring with Handle 2 inside pockets -Zipper to 3 sides - see/thru polypropylene-5 colours - blue, green, red, purple, smoke. A3 Presentation Display Book - $8.95 - 20 Fixed Pockets- Heavy duty Polypropylene covers- Ideal for artwork presentation- Graphics work and other school projects. Display Book A4 - $5.39 - 20 Fixed Pockets- Black flexible covers-ideal for artwork presentation-graphics work and other school projects. Colby Binder Wallet A3 - 146A3 Suitable for binders, portfolios and display books. Heavy duty polypropylene with Velcro closure. Colby Binder Wallet A4 - 146A4 Suitable for binders, portfolios and display books. Heavy duty polypropylene with Velcro closure. Display Book A2 Colby 257A2 - $43.45 - Refillable - 10 clear pockets included - Heavy duty black polypropylene covers-ideal for artwork presentation -graphics work and other projects- Additional refills available - total capacity 30 pockets giving 60 facings. Display Book A3 Colby 257A3 - $25.95 - Refillable 20 Clear pockets included - Heavy duty black polypropylene covers- Ideal for artwork , graphics presentation and other projects - additional refills available - Total capacity 30 pockets, giving 60 facings. Display Book A4 Colby 257A4 - $15.95 - Refillable 10 Clear Pockets included - Heavy duty black polypropylene covers - Ideal for artwork, graphics presentations and other projects - Additional pockets available in packs of 10 - Total capacity 30 pockets, giving 60 facings. 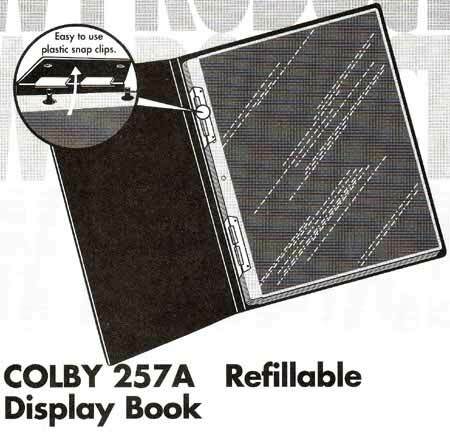 Display Book Refills A2 Colby Pack of 5 Heavy duty refills- suit Colby 257 A2 Display Book. 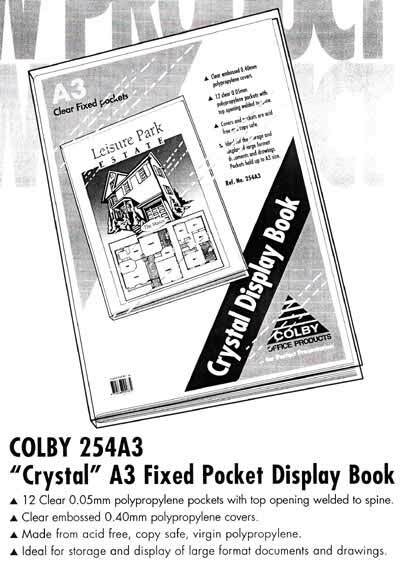 Display Book Refills A3 Colby Pack of 10 Heavy duty refills- Suit Colby 257 A3 Display Book. Display Book Refills A4 Colby Pack of 10 Heavy Duty Refills- Suit Colby 257 A4 Display Book. Display Book A3 Colby 254 - 12 pkt clear front- Heavy duty covers- Covers and pockets are acid free & copy safe- Ideal for artwork, school projects and presentations.